Instructing is a very crucial process for athletes as they require guidance on how best to develop their abilities for them to progress in their careers. A qualified trainer will enable an athlete to work hard at becoming better at sports and will, therefore, help them succeed at what they want. If you are interested in instructing your favorite game, you will be happy to know that the process involved in becoming a qualified trainer is straightforward. Here are some of the steps you can take to achieve your goal. 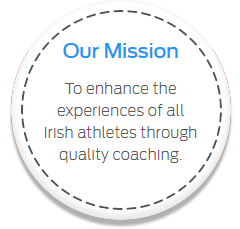 There are hundreds of athletic clubs affiliated to the Athletics Association of Ireland across the country. Joining such a club in your area will help you get in touch with other like-minded people with whom you can work towards becoming qualified trainers. Being in such a club puts you in a position to know the best way to go about becoming a qualified trainer by getting information as to which courses are the most relevant and getting in contact with mentors in the field. There are many classes which you can take on your path to being a qualified trainer. Education programs in the athletic field tend to be educational and practical such that you will require being hands on even during instructing. Ensure that the course you take meets the standard requirements of the IAAF such that once you come to an end; you can work as a trainer across the world. Most courses involve five stages of instructing where you start as either an athletics leader or an assistant trainer. This mode ensures that you start with the basics, from whence you can build on your other abilities as you scale the ladder. As you work on being a trainer, there will be many opportunities for you to show off your skills by way of tests and practical sessions. You can start off by instructing small teams in your neighborhood to gauge how well you are doing in your course. With time, you will realize the areas in which you are weak, and this will help you better your skills for the final test. You should note that instructing is a continual process and you will learn more about the practice even years after being in the field. As such, the learning process will not come to an end. Once you complete your exams and get awarded a certificate of practice, there are some essential steps that you should take before getting into the field. Start by enrolling in a course on child welfare and protection in sports. This class is especially useful if you will handle children’s sports teams in your instructing career. In this course, you will delve into various ways to ensure that people you are instructing are safe during and after practice and how to ensure that you do not harm them. With this step out of the way, you can then undergo vetting at your local club where they will decide if you are fit to trainer their players. They will assess you based on both your theoretical and practical skills before making the decision. If you have followed through with the preceding steps, then you will be fit to trainer in their club, and you can get started on the instructing process. This admission will be an opportunity for you to prove your skills to the club and will enable you to get your name out there. 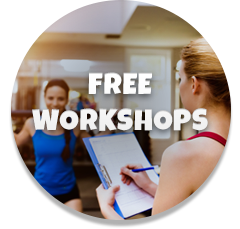 Make sure that you take part in workshops which can aid you in developing your instructing skills to a higher level. With these simple steps, you can become a qualified trainer. Good luck! NSCDA unites coaches and partners in its commitment to raising the skills and stature of coaches, and ultimately expanding their reach and influence. Copyright © 2019 NSCDA All Rights Reserved.